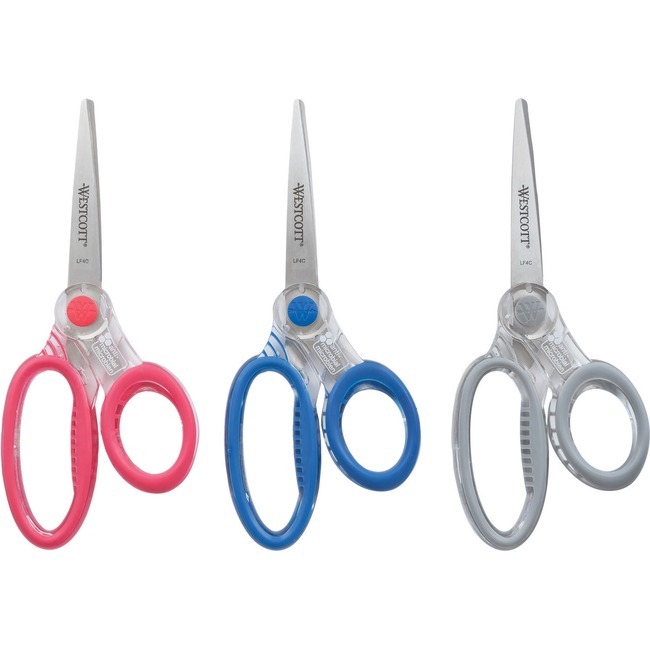 7" student scissors feature pointed blades and straight soft handles for comfortable use. Handles are infused with antimicrobial product protection to inhibit the growth of bacterial odors. Stainless steel blades are corrosion-resistant and include an adjustable pivot to set optimal blade tension. 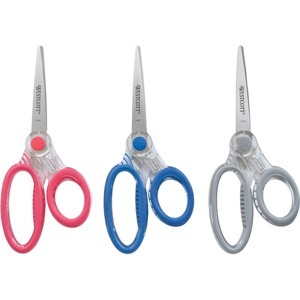 Ideal for cutting paper, creating craft projects and more, these scissors are designed for left-handed or right-handed cutters ages 12 and up.